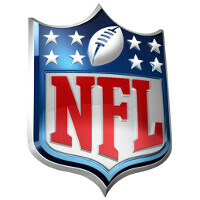 With the first Sunday of the 2015-2016 NFL season underway, you can follow some easy steps and have your favorite team's schedule added to your Google Calendar application. In fact, you can add as many teams as you want, even adding the entire 2015-2016 NFL schedule if you so desire. Either way, you can find out whether the Miami Dolphins (or any team) have a 1pm or a 4pm kickoff time for any given regular season game. With the NFL schedule on your Google Calendar, you can quickly let your significant other know that the dinner party you both have been invited to is out, because of a key inter-divisional match-up that is taking place on the very same evening. Keep in mind that this will have to be set-up using your desktop or laptop PC since Google does not yet allow for such customization directly on the mobile version of its Calendar. Now here's how to add the NFL schedule to your Google Calendar. Go to calendar.google.com. On the left, you will see the words "Other calendars." Click on the arrow inside the small box to the right of that line. A pop-up box will appear. Click on "Browse Interesting Calendars," and when that page comes up, go to the heading and click on Sports. You'll see a number of different sports to choose from. In this case, you want to click on Football, and then the NFL. Hit "Subscribe" for each team whose schedule you want to add. Each one will be given a different color. When you're finished, click on "Back to calendar" to see your new calendars. After a few minutes, check the mobile devices that you have with the Google Calendar app installed. Go to settings and click on the teams whose schedules you want to have integrated with the Google Calendar app on your phone and tablet. Once you have this all done, you should be able to avoid a scheduling conflict this football season.